Microsoft has agreed to settle a class-action lawsuit against its retail efforts, paying almost $1.2 million in compensation to customers and legal costs, over an accusation receipts provided by Microsoft Stores provided too much information about a customer's payment details. The lawsuit, filed in 2015 in the Southern Florida US District Court by Carlos Guarisma, claimed the Microsoft Store in Aventura, Florida printed a receipt that broke the 2003 US Fair and Accurate Credit Transactions Act (FACTA), reports The Register. According to the law, which has required compliance since 2006, retailers are permitted to display the last five digits or the expiry date of a credit or debit card number used in a transaction on a receipt. It is alleged that the receipt Guarisma received showed ten digits from the card number, with the first six and the last four numbers of the credit card on the paper. The receipt also included other information, including the customer's name and the identity of the salesperson involved in the transaction. "Despite the clear language of the statute, the defendant willfully or knowingly chose not to comply," the complaint alleges. According to the settlement proposal, Microsoft has agreed to pay out up to $100 to customers in the United States who shopped at a Microsoft Store with a credit or debit card between November 2013 and February 24 of 2017, while lead complainant Guarisma will receive $10,000. Microsoft is putting up close to $1.2 million to cover the compensation requests, once it is approved by Judge Cecilia Altonaga, with one third of the total potentially being paid out in attorney's fees. "This was a technical bug that we fixed immediately when it was brought to our attention," a Microsoft spokesperson advised. "We're pleased this matter is resolved and are committed to protecting our customers." 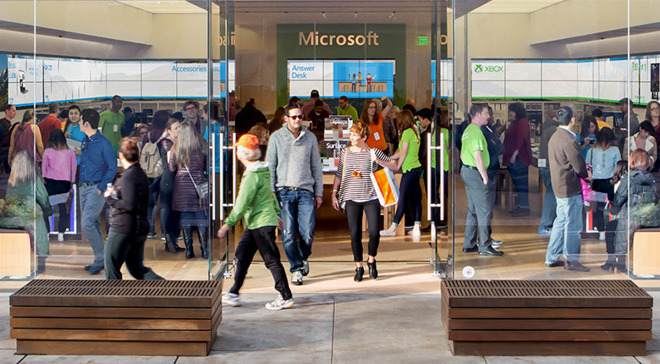 Microsoft started up its Microsoft Stores initiative in late 2009, attempting to sell Windows PCs, Microsoft products, and other services to customers, imitating Apple's retail effort. So far, Microsoft hasn't managed to emulate the success of the Apple Store, opening 106 branches in the United States and 116 stores worldwide.